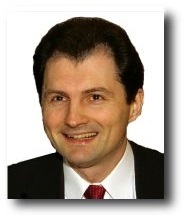 Cezary Jachniewicz has experience in managing and consulting companies of various sizes and industries. Prior to founding Finesia in 2004, for 5 years he was a partner and the vice president of International Management And Accounting Solutions Sp. z o. o. (IMAS), a private company with the similar profile to Finesia. At that time, his clients were international corporations operaring in Poland or expanding into the Central and Eastern Europe. During this period, he was also an advisor to the Hungarian Innovative Technologies Fund, the venture capital company based in Budapest and sponsored by the US government. Previously, Cezary Jachniewicz had been the Finance Director and the IT Director in Pioneer Investment Fund Company S.A.(now Pioneer Pekao - UniCredito). Capitalizing on experiences gathered during his 6 year tenure with the largest Polish asset manager, he was responsible for setting up financial controlling for the Czech subsidiary of the American parent company. Cezary Jachniewicz after conducting doctoral studies was awarded a Ph.D. degree by Warsaw School of Economics (SGH). Having completed an accounting program at the Finance Academy in Warsaw, he was granted a licence by the Polish Ministry of Finance, allowing him to provide accounting services in Poland. Originally, he graduated with an „excellent” note from the Computer Science and Engineering Department of the Warsaw University of Technology. His master’s thesis devoted to modeling the economic market with artificial intelligence won a prize in a nationwide contest. Weronika Jachniewicz has a well-grounded knowledge in accounting and finance along with mutliple years of experience in its practical application. 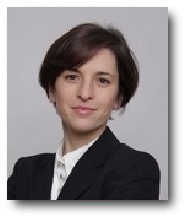 She developed her professional career in Finesia Consulting Sp. z o.o., where she started as junior accountant to become a chief accountant after a few years, overseeing the provision of all accounting services. Operational experience gained while servicing both international corporations as well as Polish start-ups, supported with a specialist-level education are her particular assets trully appreciated by the clients. Prior to Finesia she worked as a project manager in a media company, BiznesPolska.pl and spent an internship at the legal department of the Polish Ministry of European Integration. While still studing, she participated in a Polish-Canadian students exchange program. Paying attention to continous learning, besides completing her law education at the, National University of Ostroh Academy in Ukraine, she received her M.Sc. degrees from the Business Management Department and and European Integration Department of the University of Warsaw . She further deepened her expertise in finance and accounting at the post-graduate studies at the Finance Academy in Warsaw. She was granted a licence for providing accounting services by the Polish Ministry of Finance. Since 2011 she has been a memeber of Association of Chartered Certified Accountants in UK. In 2013 she was elected to the ACCA Member Council in Poland.